Legendary Jesco von Puttkamer passed on Friday. As I was getting ready for work this morning, I remembered writing a blogpost about him back in 2010. We had shared the stage together on the “Future Directions” panel at the International Space University’s “Public Face of Space” Symposium in Strasbourg, France. After his talk, I saw Jesco in a new light. To honor his passing, I want to share what I wrote about him. I wish I could capture the twinkle in his eyes as he talked about his dream for Mars. I like to think of Jesco as the Forest Gump of space — always right on the fringes of every historical space moment. I’d never caught his passion before. Jesco’s presentation took us back to his years at the Marshall Space Flight Center, the very center of the space universe, the birthplace of all things space — until, that is, we learned the Soviet Union had their own space Capitol where they worked as feverishly as the Von Braun team to be #1 in space. The point of his talk: we can’t go forward without understanding where we’re coming from. You can also read the NASA web feature on Jesco from last Friday. I hope you’re soaring in the stars now, Jesco. We’ll miss your iconic presence at NASA. In Star Trek Next Generation, the Borg assimilated populations by force, absorbing their collective intelligence. At LAUNCH, we have no need for force. Folks come to us by choice to participate as innovators, LAUNCH Council, and non-traditional partners. We assimilate ideas and expertise through associations within our extended network — the collective genius (think hive mind) — in order to support transformative innovations and propel them into the world to solve intractable problems. We concluded the LAUNCH: Beyond Waste forum last weekend at the Jet Propulsion Lab in California. I’m still processing all the conversations (as well as pictures) from the event. I came away energized and renewed. LAUNCH is a brain feast for me — an opportunity to talk about what if, and why not, and let’s do it. New ideas bubble up and collaborations are born. The atmosphere of generosity by all the participants is, quite frankly, humbling. One of our new LAUNCH team members from NIKE told me LAUNCH filled him with hope for the future. And that’s what it’s all about. I’m so thrilled to be a part of LAUNCH. Not only can we promote innovative solutions for the problems facing humanity, we can offer our NASA problem-solving expertise and potentially pick up unexpected solutions to long-duration human space challenges. We have an opportunity to demonstrate the relevance between the extreme environment of space and constrained resources on Earth, while creating new ways of conducting public-private partnerships that other government agencies can follow. Cool story: One of our LAUNCH partners told me that when asked by the airport customs official why he was coming to the US from Indonesia, he told him all about LAUNCH and how NASA’s challenges in the extreme environment of space mirror our struggle with extreme resource constraints on Earth. Score! He’s telling our relevance story for us. 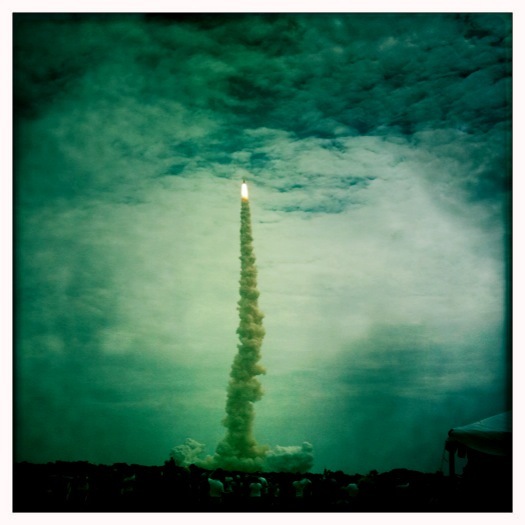 Such a fab validation for non-traditional outreach approaches, like LAUNCH. His circle of influence is outside any we could touch through our normal space network. The quote below from Nader Khalili really put LAUNCH in perspective for me. The nine innovators associated with LAUNCH: Beyond Waste are but a drop of water. But, when connected to the sea of resources through the LAUNCH collective genius, the innovations collectively expand their potential impact toward solving the problems of humans living sustainably within constrained and finite resources available on (and off) this planet. 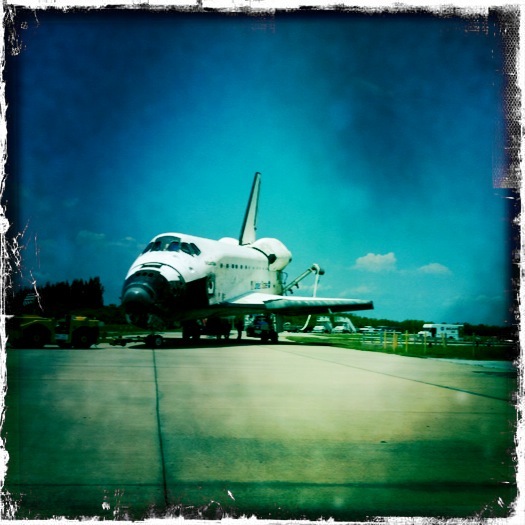 Here are my top ten 2011 space-related photos taken with the Hipstamatic app on my iPhone. It’s so hard to pick only ten photos, I’ve decided to create several fav foto lists in different categories. 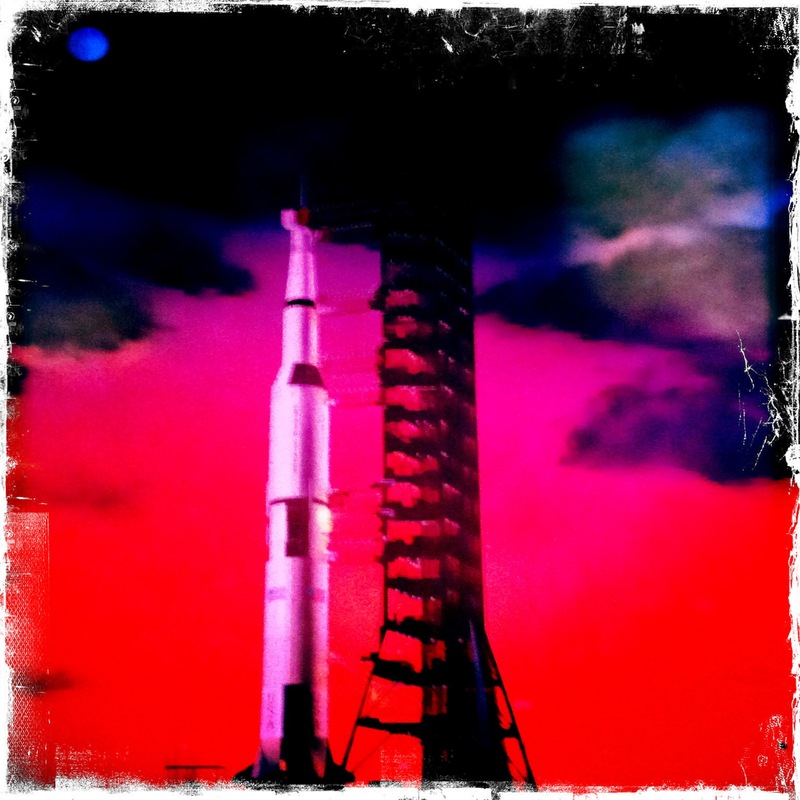 Saturn V Moon Rocket represents the past. A similar rocket will take us to the future. Since I work human spaceflight issues, I love having our astronauts come up to DC. So, I’ll share a few stories with you from this week. Veteran Astronaut Dave Wolf talked about his time with the Russians on Mir vs. time on Shuttle and Station. 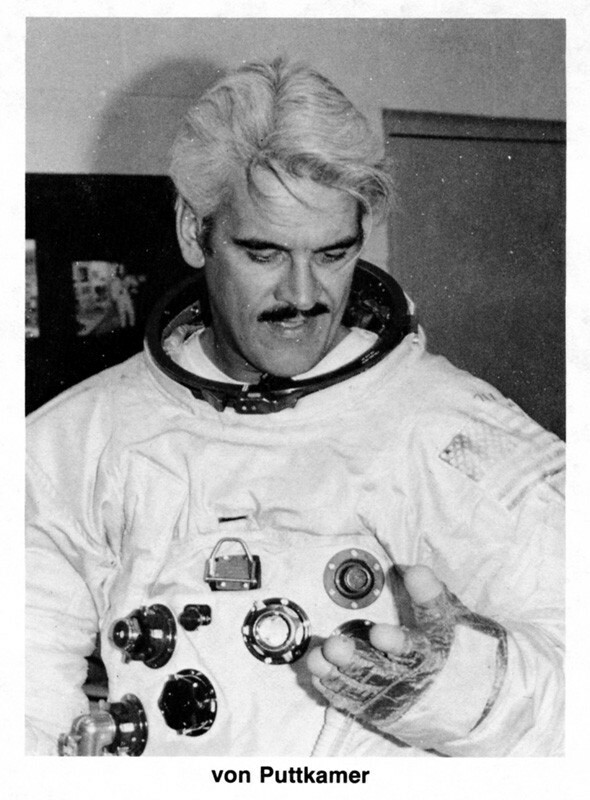 He described Mir (precursor to Space Station) as Jules Verne-like with ivory keys on the control panel and a red leather chair. Who needs a chair in Zero-G, if you think about it? But Dave said he spend time in the red leather chair as best he could on orbit. Velcrow, perhaps? Both Canadian astronaut Julie Payette and Dave Wolf talked about how the U.S modules on Space Station differ from the Russian side — look, feel, taste and smell. Dave said the smell of the Russian modules reminded him of his time on Mir. You gotta’ wonder exactly what that means…right? But then, if you think about it, our senses are assaulted walking into someone’s home — smell of cookies or fried foods, smoke or new carpet, candles or dirty clothes. Space Station is their home in space. They eat, sleep, exercise, work for up to six months at a time. They will leave their scent, I assume. Hmmm. First-time astronaut Chris Cassidy spoke of his first moments after opening the hatch for his spacewalk. He looked out to see the Earth spinning under him. As he watched, he realized he held onto the handle with a death-grip. His brain had to process the reality that he wouldn’t fall…he would float. Our human brains are gravity-wired. Even with years of training, astronauts have to mentally, as well as physically, adjust to the differences zero-g present. When asked if any of the STS-127 crew would jump at a ticket to Mars, Chris Cassidy spoke of family and how they factor into the decision. He and Commander Mark Polansky both said the decision might be different if family could go along. Would you go, if given the opportunity — knowing you would never see our blue planet or other Earthlings EVER again? Wouldn’t it be cool, though, to have that choice? Someday our planet will be asking our global citizens for volunteers on humanity’s quest for knowledge. Someday. In the meantime, we’ll host space invaders fresh from our orbital outpost 220 miles overhead. The Office of Space Operations hosted the brand spankin’ new astronauts for an early breakfast. Our Exploration colleagues joined us. I spent some time with Dr. Kate Rubins, one of 14 members of the 2009 Astronaut Class. She’s an expert on infectious diseases — HIV, Ebola and Lassa viruses, which primarily affect West and Central Africa. She’s been given her “call-sign” already by her fellow astronauts: Bola (as in E-bola). I really enjoyed hearing about her time in Africa working with the people in the Democratic Republic of Congo. She lamented how so many diseases are preventable with education and simple steps. Kate is taking action to relieve suffering by founding the Congo Medical Relief Organization to provide medical supplies to the poverty-stricken. You can become a fan of Congo Medical Relief on facebook. Their first support site is: L´Hôpital Général de Référence de Kole in a remote region of central Democratic Republic of Congo. Kate told me the Astronaut Office supported her work and encouraged her to continue her efforts. So cool! Now, if we can only link NASA advances in supporting human life in the harsh reality of space to relieve those facing harsh realities here on our home planet. 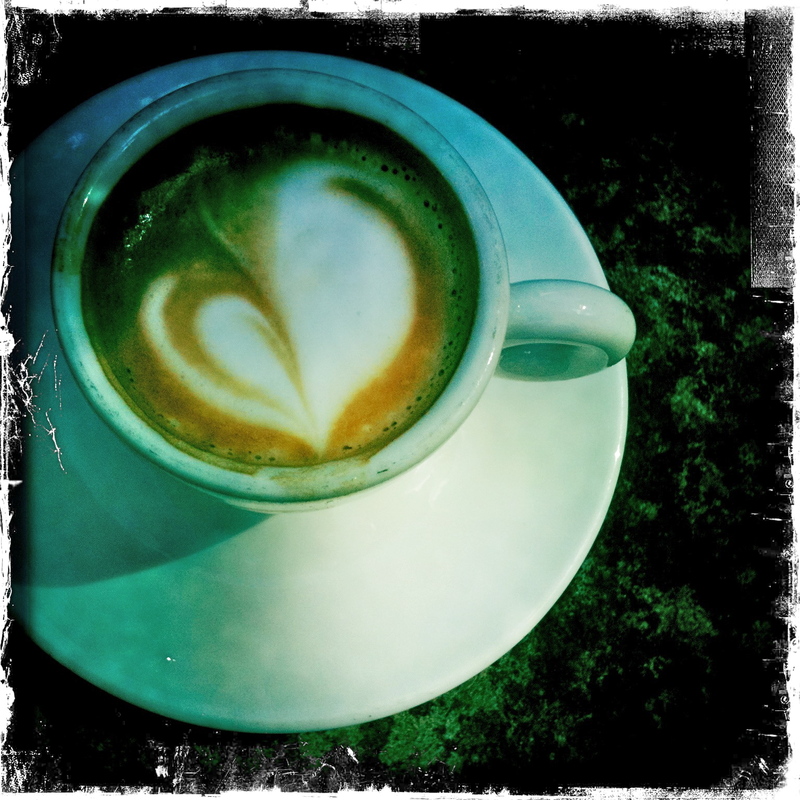 Side note: After spending time in Africa (as you can obviously tell from my Africa blogposts), I left my heart there. I would LOVE to find a way to collaborate in some way — taking the best NASA has to offer to lift up those who can’t help themselves. That’s the missionary in me, I guess. Ideas on how to do this? 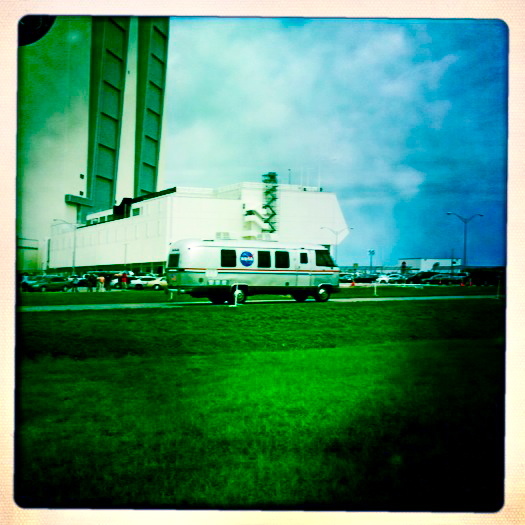 Space Shuttle on launch pad. I spoke with many of the Astronaut Candidates about the importance of sharing the magic of space outside our circle of influence. They are SO, SO eager and enthusiastic now. She and the others can’t imagine NOT wanting to share this experience with anyone willing to hear it. Sadly, my experience predicts otherwise. 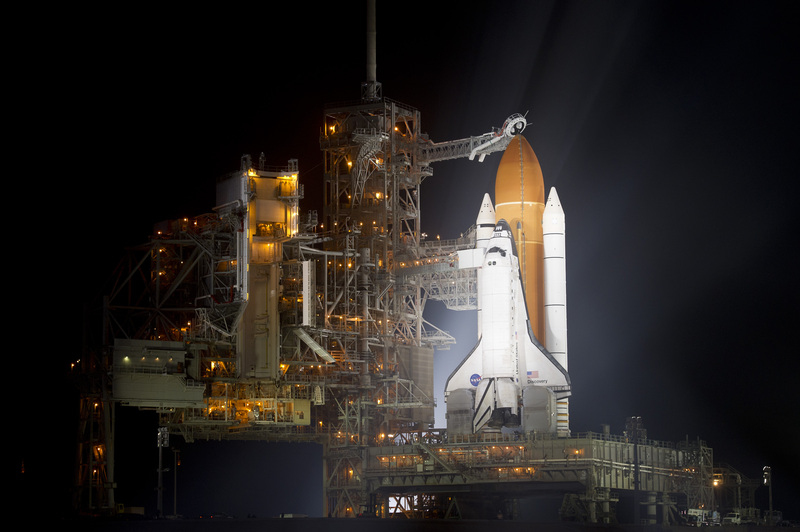 Fact: Our Astronaut Corps is shrinking with the close of the Shuttle program in 2010. Fact: We have fewer slots for longer duration missions on the International Space Station (which increases time needed to train). Fact: Everyone (or almost everyone) wants a chance to meet an astronaut. 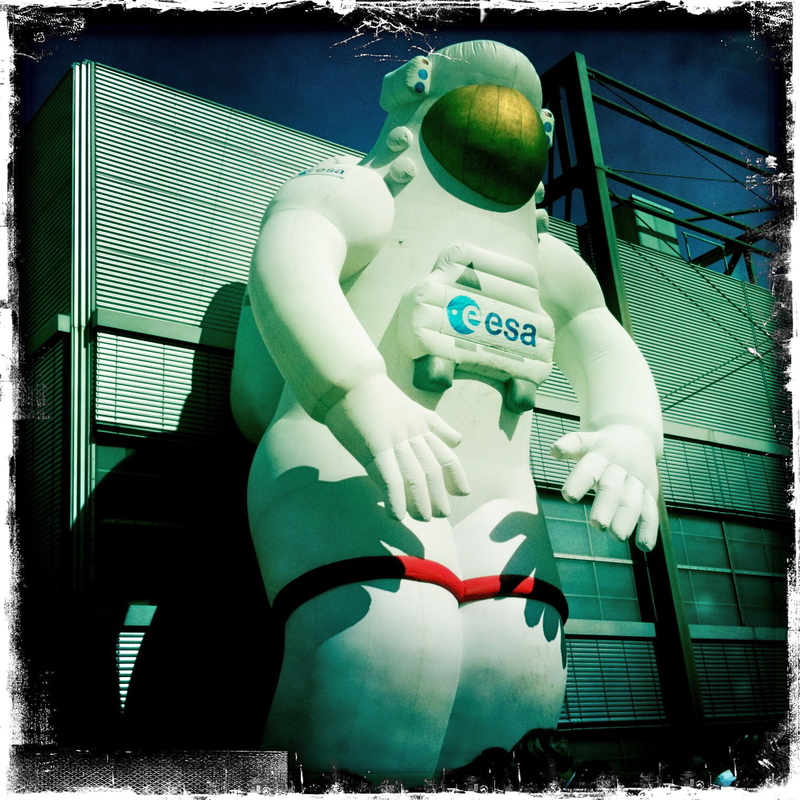 Fact: We have too few astronauts to meet all the requests for public appearances. Fact: Every minute an astronaut spends attending a public appearance translates into one minute less training for a task on a mission. 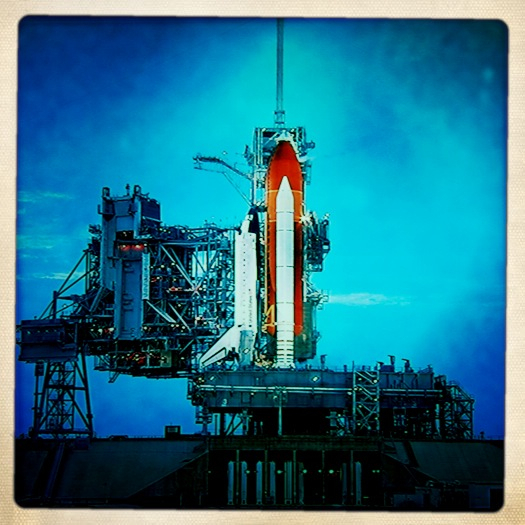 Perception: Mission training is more valuable to NASA than public appearances. 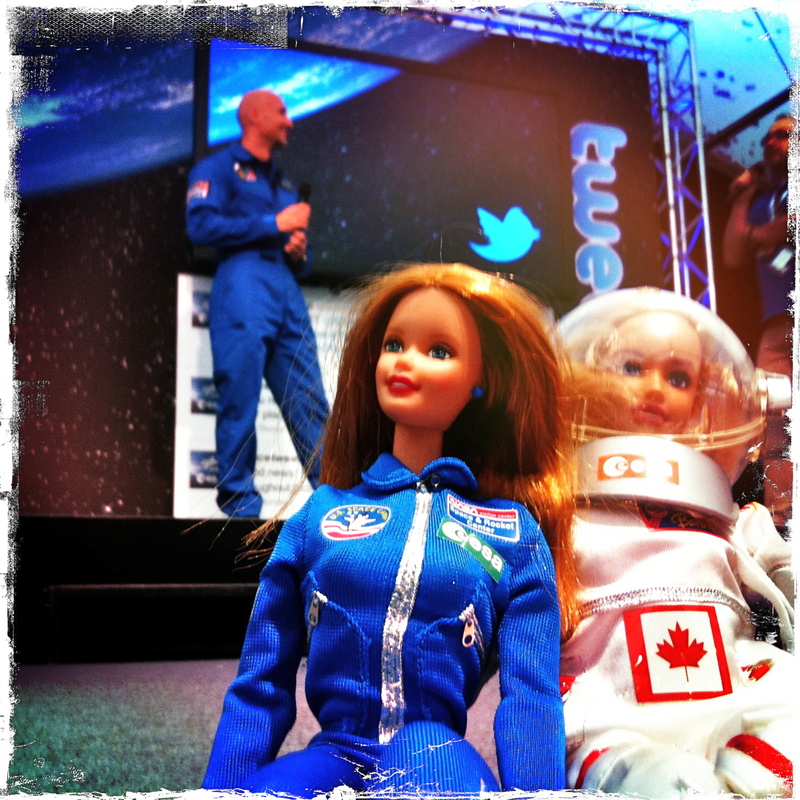 An astronaut who enjoys “speaking with the public” risks being seen as less technically-credible by fellow astronauts. A less technically-credible astronaut may jeopardize selection for the highly coveted slot on space missions — which take years to secure. Astronauts who are the best “Space Ambassadors” may risk ridicule as “attention-seekers.” Ah, those pesky unwritten rules on how to get one of those few seats on a spaceship leaving Earth. Several members of the new Astronaut Class commented that they’d been advised to keep a low profile. Yet, I want them to have the HIGHEST of ALL profiles. I say, BRING it ON: hand-held video for YouTube, blogposts, Twitter and Facebook updates. Let the world be part of astronaut training — right along side them! Spacewalk: Coming out of the Space Station hatch. One of the former Astronaut Office chiefs told me they worked hard to balance mission-critical training with all the outside non-mission-critical requests for their time. Public outreach/educational events remove the astronauts from the job each was selected for — going into space. Training requires single-minded focus. ‘Really hard to argue against that logic. Mission-critical sounds like it should trump anything non-mission-critical. Right? But really, isn’t that just an assumption within our traditions and culture? I really don’t envy the Astronaut Office folks. I can only imagine the pressure they’re under to juggle all the competing requirements for their time. 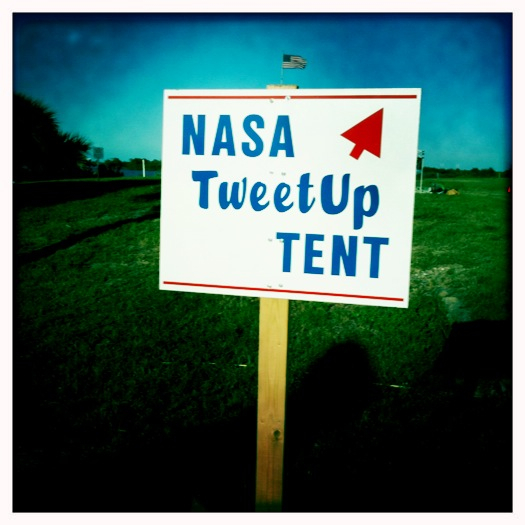 I also get our NASA culture: we stick with what’s worked well for us in the past. But…is that the only way to succeed? Can tradition handicap us, get in the way of creative solutions? Enter technology — tools that could lighten the load and create new ways to share the training process with the rest of the world. Social media tools make sharing so simple. At one point, we were all afraid of e-mail. Now we can’t live without it for accomplishing work. NASA HQ employees crowded around STS-127 crew. In my opinion, social media should be a ‘given’ throughOUT the entire training process. Equip the astronauts with the iPhone 3GS (video) so they can instantly post pics and video inside the simulators, water training, T-38 practice time, and more. Allow the tax-payer an opportunity to participate and interact WITH our incredible national treasure — the space travelers who’ve broken the bonds of Earth gravity. 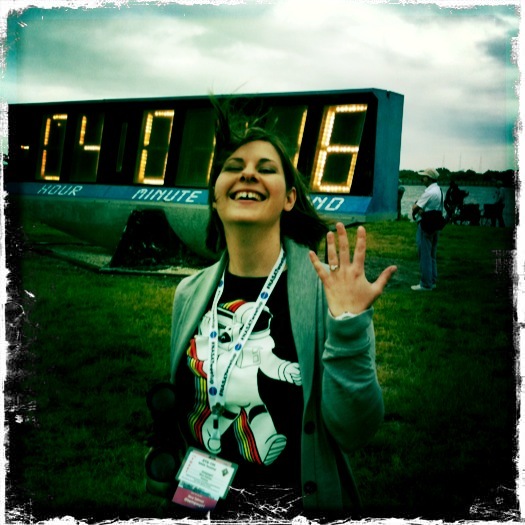 six months in the Office of Public Affairs (learning and practicing communication methods and representing NASA at outreach-type events outside NASA). Our future as a space-faring nation depends on the will of the people, as expressed through decisions by their elected representatives. Our astronauts and our images of the heavens offer our citizens a window into the universe. Our images show the story of what’s beyond our reach. Our astronauts tell the story — how it feels to GO beyond our reach. Yes, training is crucial to get the job done. But, the real job, is getting OUT THERE…in the Universe! We need political will to get there. Astronauts embody the human drive to push beyond the boundaries of our knowledge. Yes, the technical aspects of the mission are CRUCIAL. We have human lives at stake. Totally. Absolutely! And, we, at NASA, are incredibly good at conducting missions safely. However, without the storytelling — how it tastes and feels, complete with hair-raising near-misses and close calls — we may not have future space missions to conduct. Humans are addicted to the drama behind the story. Why else would we have an entertainment industry that we throw money at — for the privilege of losing ourselves inside the storytelling in novels, movies and TV shows? So let’s tell our story…using every tool we’ve got!